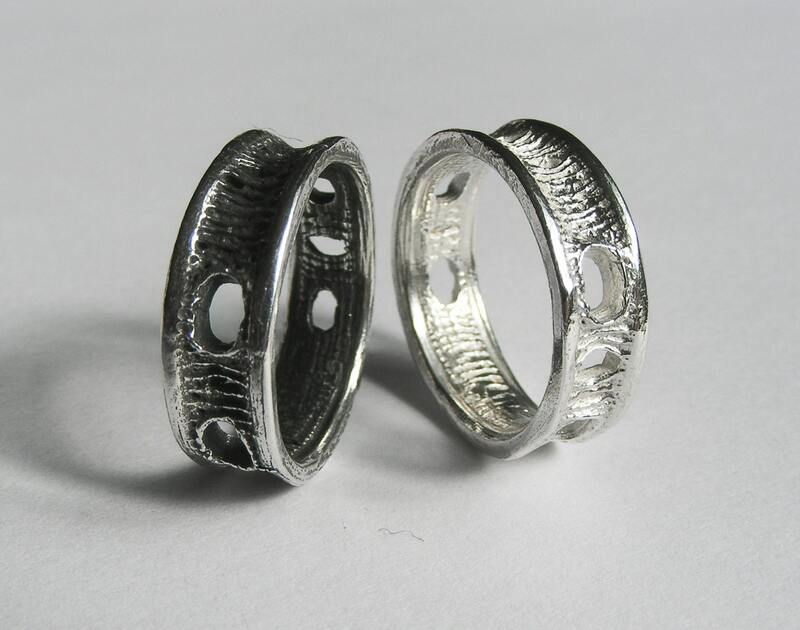 A petite lightweight Sterling Silver ring molded from a shark vertebra. I love sharks and I find the patterns on their vertebrae fascinating and beautiful. 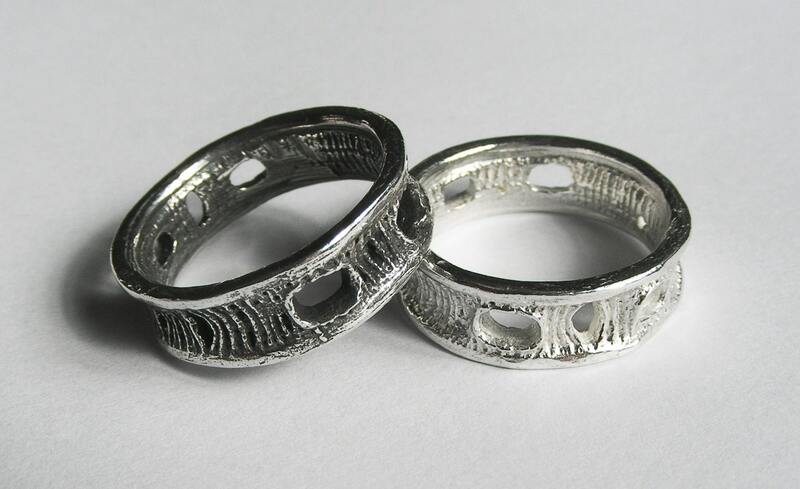 The original vertebra from which this ring was molded & cast was found washed ashore. 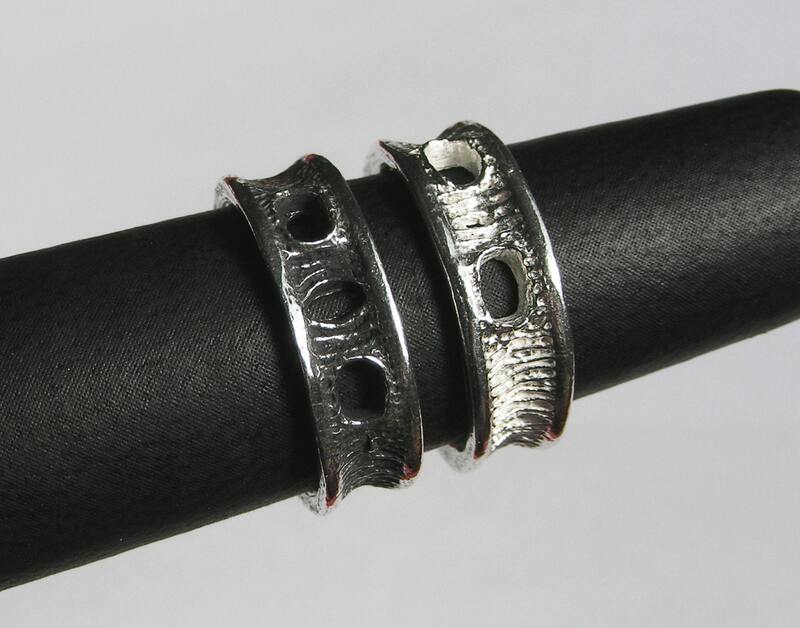 Looks great as part of a stack! 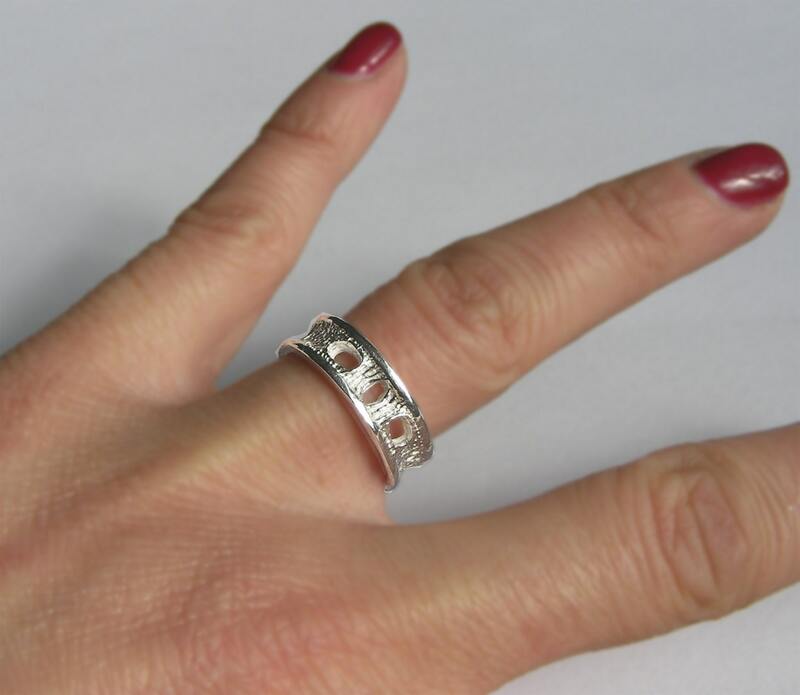 Cast in recycled sterling silver, this ring is 5mm wide & weighs 3.73 g.
Beautiful and unique! Fits perfectly and shipped quickly. Thank you!